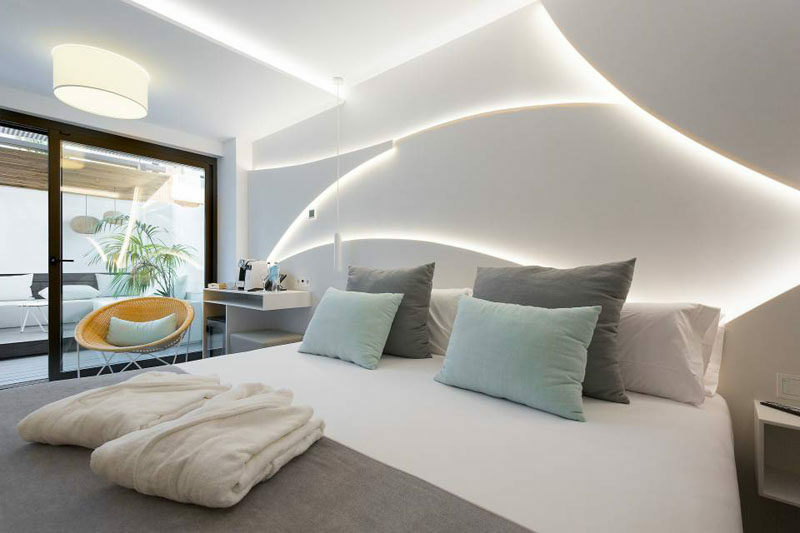 Hotel Kaktus Playa, located in Calella, Spain, has recently modernized its rooms to ensure its guests have a more relaxing and comfortable stay. 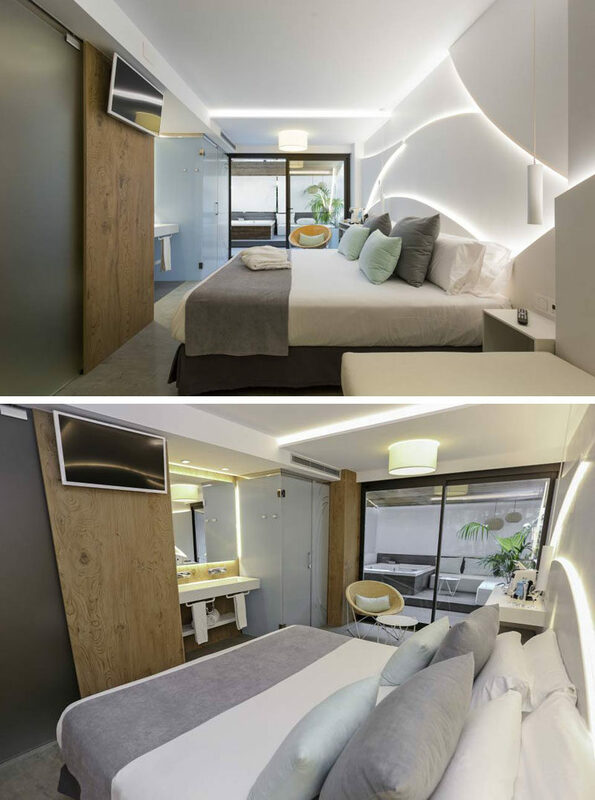 As part of the modernization, they collaborated with HI-MACS to create eye-catching backlit accent walls. 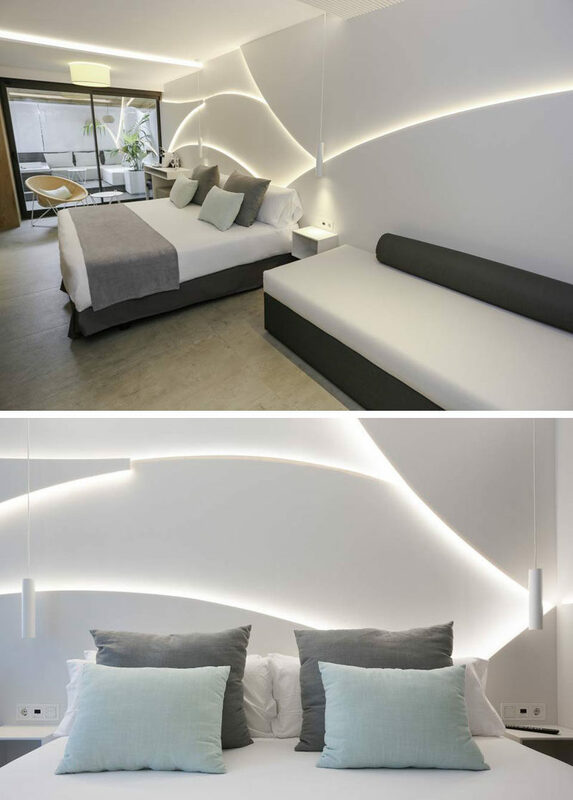 Acting as a headboard that dominates the whole room, the sculptural design was inspired by the swell of the sea, and they achieved this look by superimposing several panels made from HI-MACS. 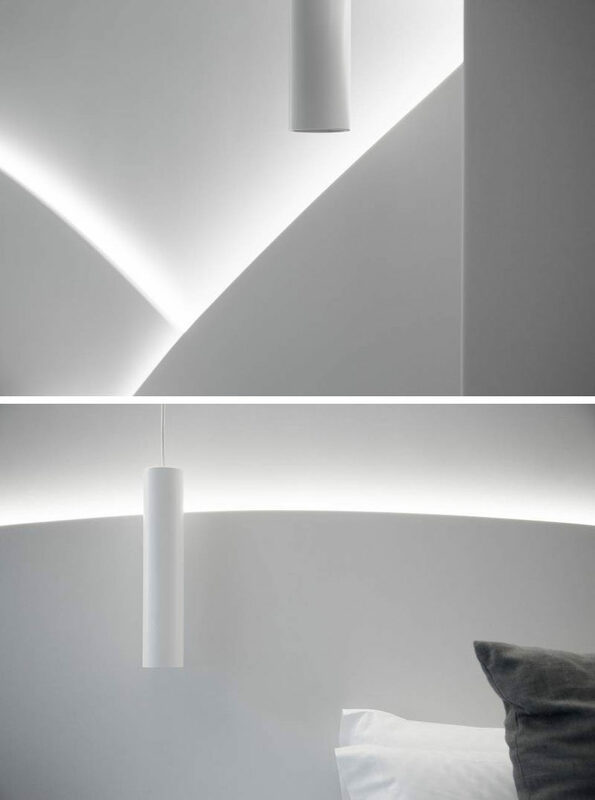 Using the thermoformable properties of LG Hausys’ acrylic stone, the designers were able to create a wide range of shapes, and when hidden LED lighting was added, it allowed the hotel guests to play with different ambiances.